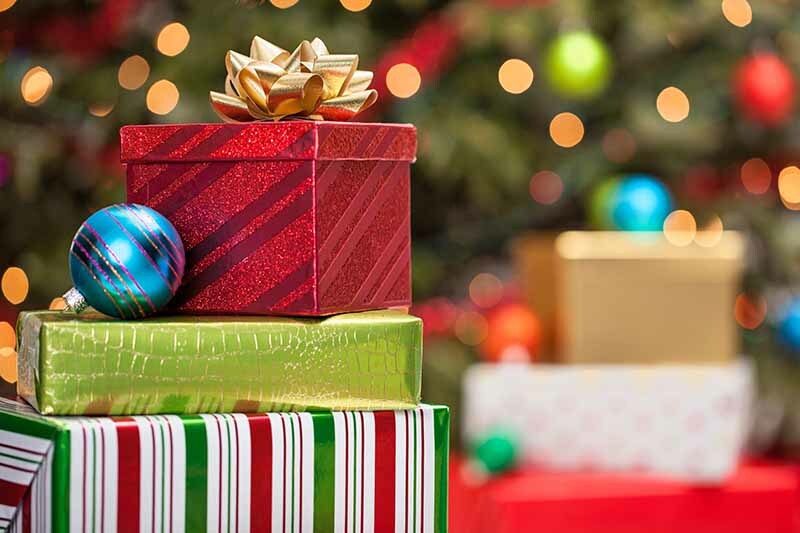 The holiday season is undeniably upon is, and it’s time think about those gifts. But you’re in luck! 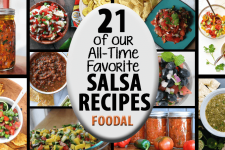 If there’s a special someone in your life who loves all things food, you’ve come to the right place. 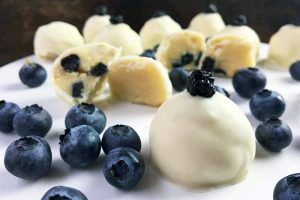 We’ve created a round up of the best of the best for your favorite chef or foodie this holiday season. And don’t forget the tea fanatics, java heads, and wine connoisseurs, too! With top picks at every price point, let those friends and loved ones who flock to the kitchen know that you care with something special, handpicked just for them. Let’s dig in to the delicious options! Decorating the tree is a time-honored tradition, but I can’t say I’ve actually hung anything edible on mine since one very memorable Christmas when I was very little, and my great-grandmother was visiting from New York. In addition to the usual indoor decorating, we made strings of fresh cranberries and popcorn, and strung them on the evergreens outside for the birds to enjoy – a feast for the eyes, and a memory to last forever! 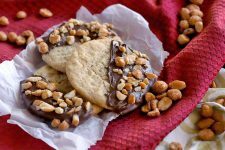 Short of hanging edible foodstuffs, there are other options, and these are perfect for gift giving. It just wouldn’t be Christmas without a beautifully adorned conifer in the middle of the living room. And what better way to show off one’s love for all things food than with a couple of cute and quirky Christmas ornaments? 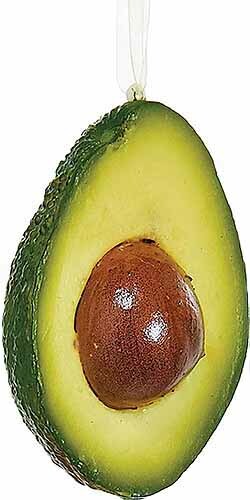 One of my favorites is this extremely lifelike avocado by Kurt Adler. Commemorate your love for guacamole (or the ubiquitous toast) with this 3.75 x 2.75 x 2.5-inch polyurethane ornament, available from Wayfair. Is chocolate more up your loved one’s alley? 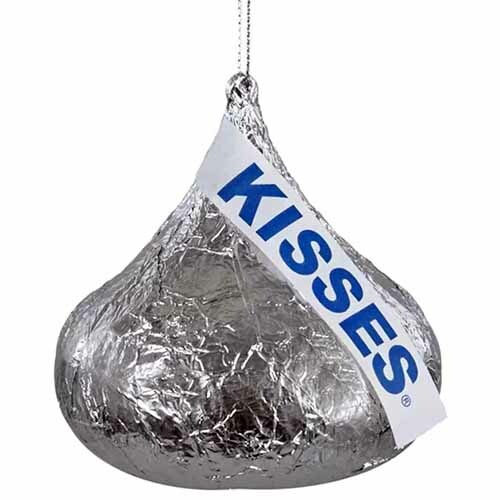 Don’t miss this sweet kiss – of the Hershey variety. This officially licensed product from Kurt Adler is made of plastic and detailed in paint and mica to create that realistic foil wrapper. It’s 3.5 x 3.5 x 3.5 inches, and available from Wayfair. 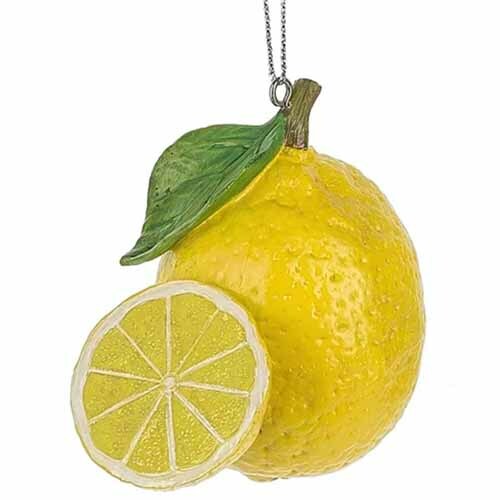 When life gives you lemons… well, hang them up on the tree! This vibrant resin ornament from August Grove features a whole fruit with stem and leaf alongside a bright yellow slice, and it’s 2.88 x 2.5 x 1.89 inches. Order one now from Wayfair, or grab a bushel for a pretty monochrome lemon tree. For the Coca-Cola lover who has everything, I’d wager a bet that this ornament from Kurt Adler is sure to tickle their fancy. 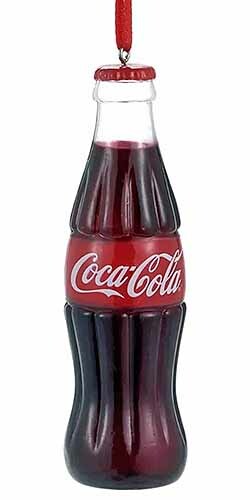 Commemorate their love for this classic sweet and bubbly beverage with an officially licensed plastic blow mold ornament. Overall dimensions are 3.75 x 2 x 2 inches, and it’s available from Wayfair. Popular subscription services abound, and that’s the case for a reason. They’re awesome! 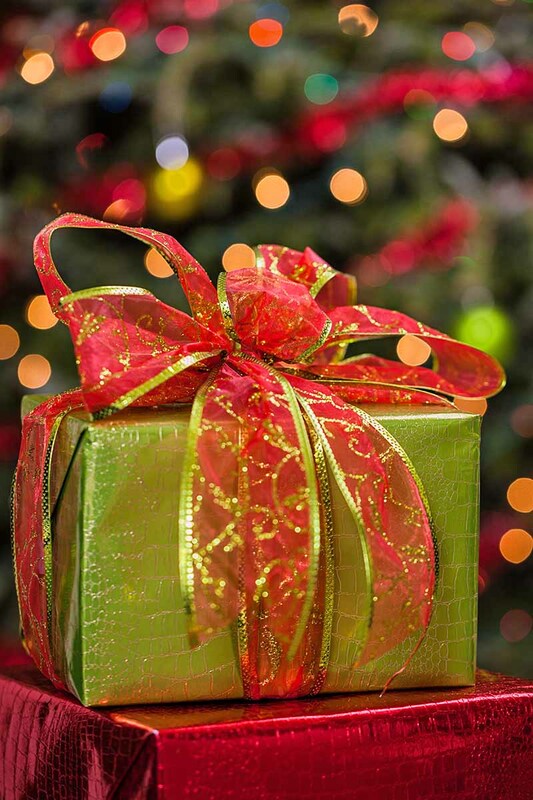 Nothing is nicer than a gift that keeps on giving, and what better way to show you care than to gift the discerning gourmet in your life with deliveries on repeat throughout the next several seasons? 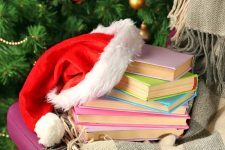 I’ve always relished the joy that I experience when I get to run to the mailbox or to the front door to receive a special package, and these gifts will bring a smile to your fav culinary enthusiast’s face over and over again through the new year. 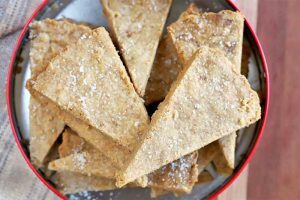 A subscription to the Stonewall Kitchen Specialty Food Club is a gift fit for a king, monarch, sovereign, or whatever royal title they prefer. After gifting this to his or her majesty, if you use said title when you address them, maybe they’ll share their bounty with you. 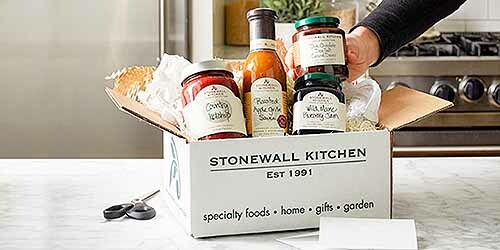 What Stonewall describes as “the gift that’s always in good taste” comes complete with a box full of 3-4 award-winning, best-selling products each month, including a range of sweet and savory items that are themed seasonally. 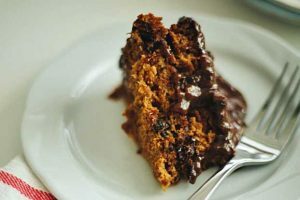 If someone that you hold near and dear is a fan of their iconic jams and spreads, dressings and sauces, baking mixes, and more, membership in the Specialty Food Club is a must! Three, six, or 12-month gift subscriptions are available directly from Stonewall Kitchen. For the certified oenophile, what could be better than a box full of wine, delivered directly to their door? Trusted queen of all things food, Martha Stewart knows her wine. And she’s happy to share, via the Martha Stewart Year of Wine gift subscription box. 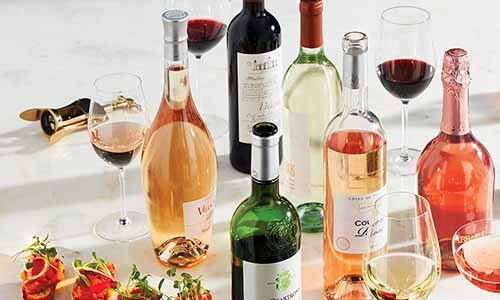 Each 6-bottle package is delivered according to the schedule of your choosing with a selection of Martha’s favorite picks, plus her pairing and serving suggestions. If you want to choose all reds, or all whites, you can do that. Or, opt for a mix of both. Choose between 3 shipments every 17 weeks, or 4 shipments every 13 weeks. 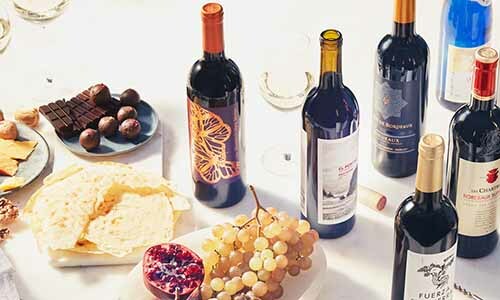 Subscriptions are available directly through Martha Stewart Wine. 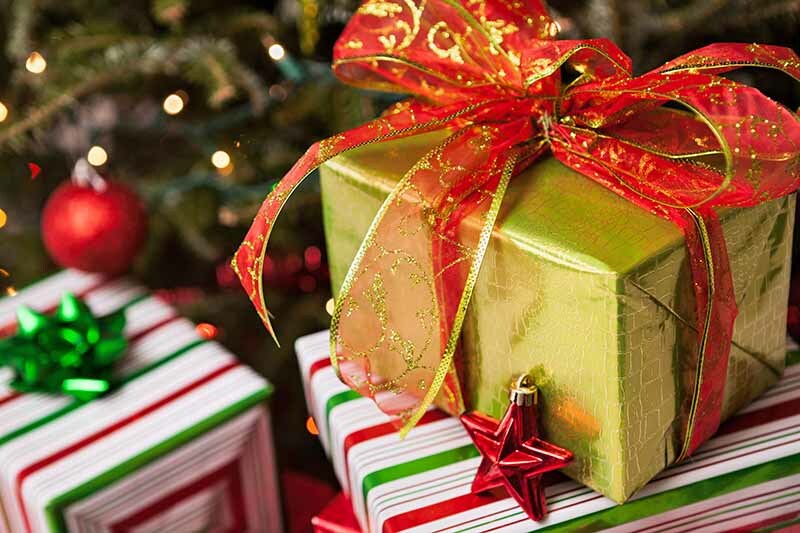 If you’re looking for something they can unwrap right away, to let them know that their gift is coming, treat the recipient to an electric wine opener gift set from Uncle Viner. Available via Amazon in black and red or silver and blue, each set comes complete with batteries and a recharging cable, foil cutter, aerator, and stopper in an attractive presentation box. When it’s cold outside and all you want to do is curl up under a warm blanket with a cup of something piping hot and delicious, what do you reach for? Or, more importantly, what will they reach for? 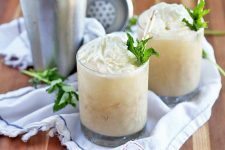 The hygge fans on your list will thank you for your thoughtfulness if you choose one of these hot drinks-related options. 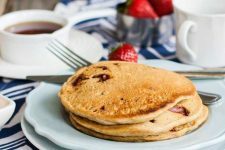 Pair it with a selection from our round up of favorite food reads for the ultimate in cozy comfort. Does the recipient that you have in mind often crave a classic cuppa? 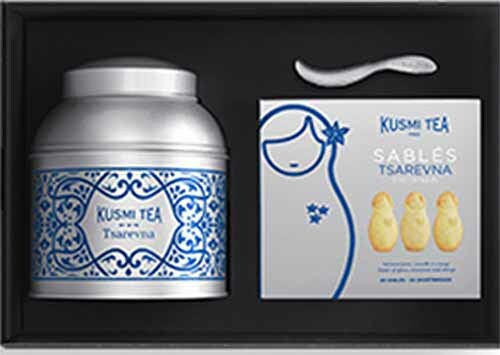 Kusmi Tea’s Tsarevna blend is a limited edition tea that was created just for the holidays. The tsarevnas of old, or daughters of the Russian tsar, used to spend the holidays at the Winter Palace in Saint Petersburg, the home of Kusmi Tea (well, the city, not the palace). With warming winter spices and notes of orange, almond, vanilla, and a touch of licorice, this black tea blend is perfect for a cozy night by the fire. This lovely gift set comes complete with a 200-gram tin of loose tea, a box of shortbread cookies, and a spoon that’s perfectly sized for scooping leaves into a teapot or infuser. It’s available directly from Kusmi Tea. 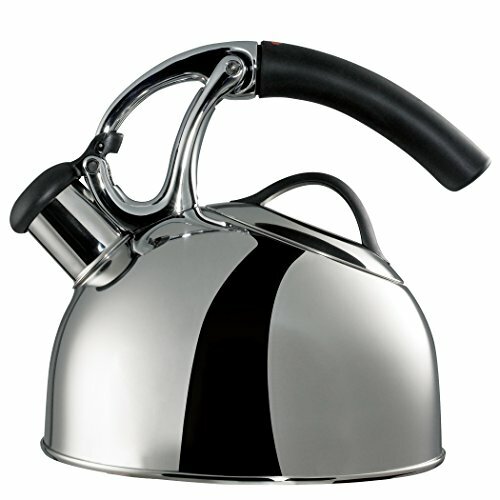 Pair it with a polished stainless steel tea kettle from OXO Goodgrips, a trusted, ergonomically-friendly brand that’s much-loved among cooking connoisseurs. It includes a heat-resistant non-slip handle and a tri-ply induction-friendly base, so it can be used on any cooktop. And it’s available on Amazon. Surprise the coffee lover in your life with an AeroPress Coffee Maker so they can take their cup-of-joe show on the road! Just fill, pour, stir, and press for a steaming hot mug of expertly brewed espresso or American-style coffee in about a minute. Created by inventor and Stanford University lecturer Alan Adler, this handy little gadget is perfect for making a hot cup of delicious java just about anywhere, and it’s easy to clean. Plus, the included microfiber filters mean your chosen giftee won’t get any grounds in the bottom of their cup like they’ll often find with a French pressed brew. Your jet-setting loved one can pack it in a suitcase for enjoyment when they reach their destination, and it’s also the perfect gadget to bring camping or on road trips. This tiny piece of equipment takes up little cabinet space, and it’s made of durable phthalate and BPA-free polypropylene so they won’t have to worry about any issues with breakage or shattering on the road. 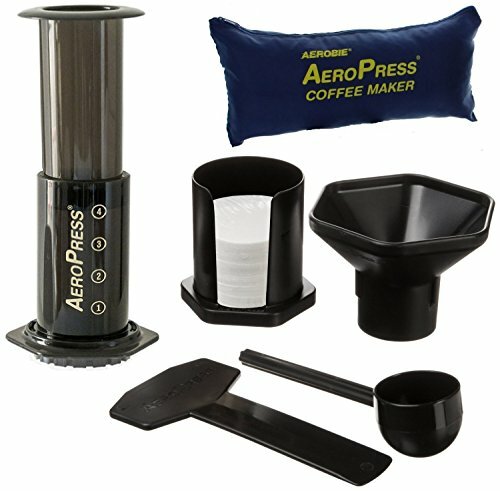 The AeroPress Coffee Maker with tote bag, accessories, and filters is available on Amazon. Admittedly, the holidays can be a time of high stress. 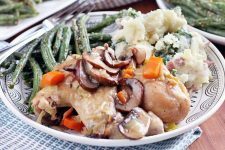 But I find that getting into the kitchen and making something delicious and share-worthy is one of the best ways to combat those conflicts! Rather than getting into a petty argument with the relatives, your loved one can stir the pot in a different way with the gift of quality cookware, cooking implements, and a lid to top it all off. Le Creuset’s 6-piece signature set of enameled cast iron cookware offers everything your lucky Secret Santa pick needs to braise, grill, roast, simmer, and bake, and it’s easy to coordinate with the color palette of their kitchen with 8 different colors available. 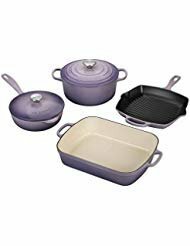 This set includes a 4.5-quart round Dutch oven with lid, a 2.25-quart saucier with lid, a square grill skillet, and a 5.25-quart roasting pan. The black enameled finish on the interior of the grill pan requires no seasoning, and the other pieces are coated with a sand-colored enamel that makes it easy to monitor how their delicious eats are coming along. 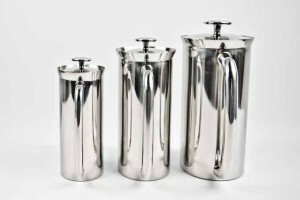 Plus, these pieces are dishwasher safe, or they can be used on the outdoor grill! If anybody out there is shopping for me, I’ve got my eye on the pale purple “Provence” shade pictured above (I’ve been a good girl this year, I promise!). All of the good boys and girls on your list deserve this beautiful set, available via Amazon. 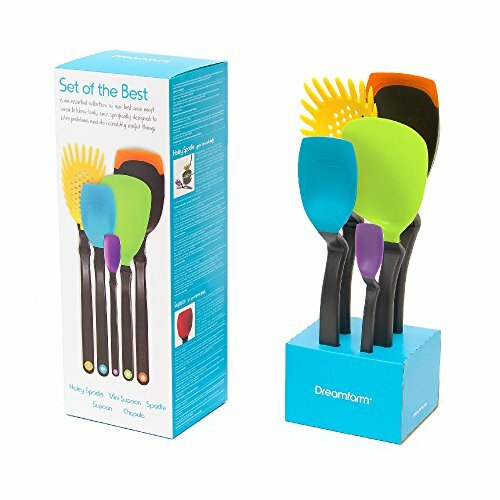 For the aspiring cook who is just setting out on her own in a new home, or the budding young chef in need of a collection of special kitchen implements that do the job right, this set of five ergonomically designed tools in a variety of vibrant colors is just the thing. But they go beyond basic ergonomics. The folks at Dreamfarm have thought of everything, carefully designing their products to maximize their usefulness. The “Spadle” is a large scraping spoon that transforms into a ladle, and a slotted “Holey Spadle” is perfect for making pasta or for shallow frying. 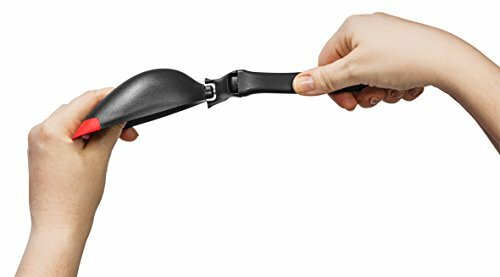 The “Chopula” is a flexible spatula that doubles as a chopper, and the full-size and mini “Supoons” are made of silicone that’s ideal for scraping containers and jars, with convenient teaspoon and tablespoon measures on the larger version. You won’t believe all the things you can do with this utensil set, and whoever you give this lovely gift to is sure to be impressed. It’s perfect for those with smaller kitchens that are short on storage space as well, and it’s available via Amazon. Add a touch of elegance to stirring and serving with the Parawood Utensil Set by Ayesha Curry, available from Wayfair. A hardwood from the para rubber tree, it has a clean look that pairs well with any decor. 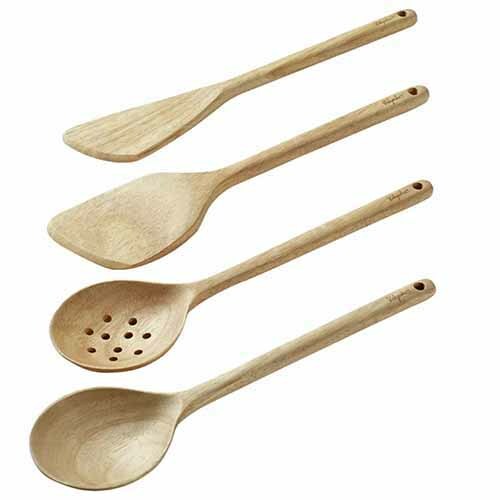 This simple 4-piece collection includes slotted and solid spoons, a pan paddle, and a multipurpose tool. Each piece is finished with food-grade mineral oil, and complete with an extra-long 12.5-inch handle that’s excellent for reaching into even the largest soup pots. Rated as one of the 50 Best Inventions of 2018 by TIME magazine, Made-In’s Universal Lid means the perfect lid for any pot will always be within reach. 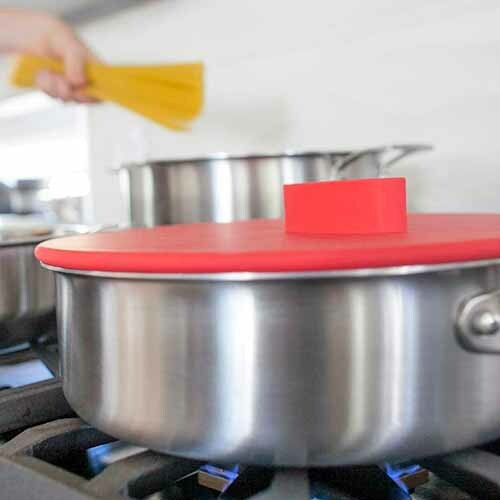 This silicone-coated pot topper is the one lid to rule them all, and it fits all Made-In pots and pans (and maybe a few that your loved ones already have in their cabinets as well). 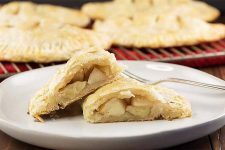 With a stainless steel interior, it’s incredibly durable, dishwasher safe, and oven safe up to 350°F. Three graduated lips inside make a tight seal with pot rims of various diameters, and the cool-touch silicone-coated handle is a welcome finger-saving added touch. This super handy piece of equipment is available directly from Made-In. 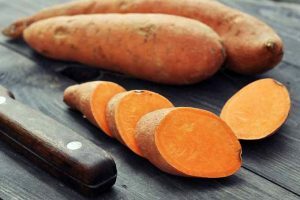 Savory, sweet, and umami rich, there are so many incredible condiment options out there that are just the thing to gift the exuberant eater who needs a little flavor in their life. 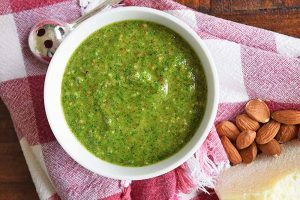 As far as I’m concerned, ready to use sauces are always a welcome addition to my under-tree haul, and the taste hounds on your list will love them too. You can never have too many condiments. And the holiday season is the perfect time to add a new one (or three) to the collection! 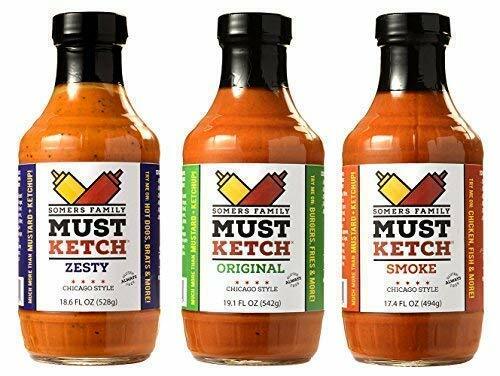 For the hot dog lover, grill guru, or marinating maven in your life, pick up a set of MustKetch sauces from the Somers Family. That’s right, “MustKetch” is a portmanteau that combines mustard and ketchup, with a little something extra to make it uber delicious. These tangy sauces come packed and ready to wrap in an attractive presentation box, and they’re available on Amazon. 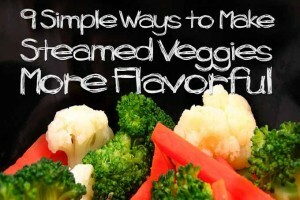 Flavors include Original (a combination of ketchup and mustard “with a little extra pizzazz”), Smoke (smoky, spicy, and peppery), and my favorite, Zesty (a truly unique blend that’s more mustard heavy, with added dill, celery salt, poppy seeds, onion, and garlic). For the barbecue fans out there, the gift of a delicious grill and marinade sauce is sure to be appreciated. 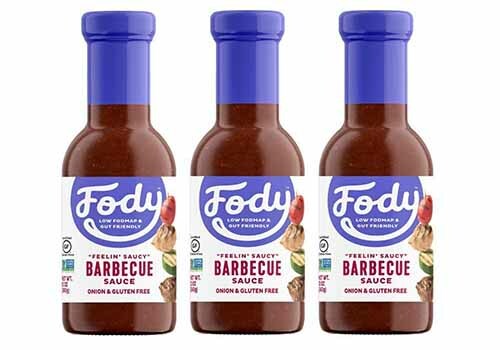 Fody’s Low FODMAP Barbecue Sauce is superb for those with dietary restrictions. And it is super delicious since it’s flavored with molasses, horseradish, and a touch of smoke. Gluten free, dairy free, and gut friendly, this barbecue sauce is perfect for those on a Low FODMAP diet since it’s made without any onions or garlic (and if you don’t know what this particular diet entails, you can read more about it here – makes for some interesting conversation around the holiday table!). Three-bottle packs are available on Amazon. 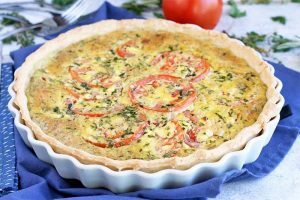 While some cooks are looking for multipurpose tools that can accomplish a variety of tasks without taking up a lot of kitchen real estate, others love those specialty appliances that do just one thing in spectacular fashion. These favs are sure to delight whoever’s lucky enough to receive them. 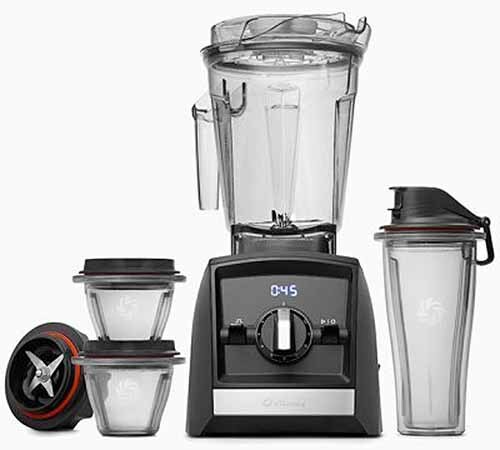 Vitamix is the cream of the crop when it comes to high-speed blending, and the Smart System A2300 Family Pack from the Ascent Series of blenders is a top-of-the-line product that’s perfect for families. 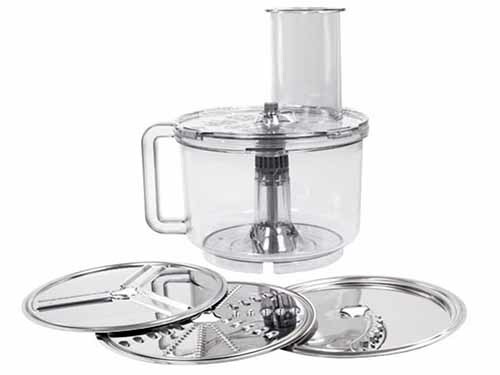 A large canister is included, as well as a set of blending cups and bowls that are nice to have on hand for making smoothies and baby food, or purees and sauces. 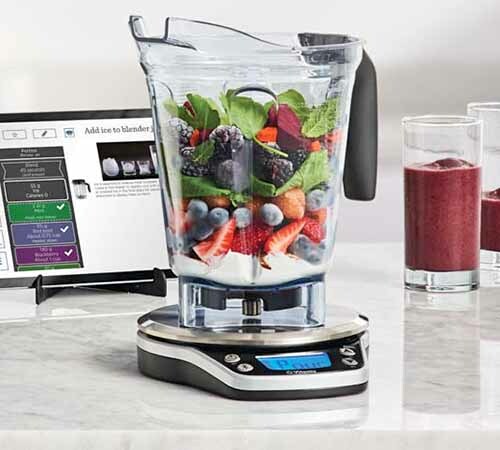 And this product’s unique Self-Detect technology means your blender will actually recognize which container you’re using and adjust the presets accordingly. And did I mention that this blender has Bluetooth? Your chosen recipient can simply download the Vitamix app on their phone to access a whole range of automated blending features, plus over 500 recipes. They can even sync it with their favorite fitness trackers! It’s available directly from Vitamix. Paired with the Perfect Blend Smart Scale, your giftee won’t even need measuring cups anymore. 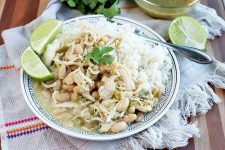 Just link to the app to access a collection of recipes that is updated regularly, with help to walk the chef through each step. Use it to measure ingredients, check out the nutritional information for a dish, scale measurements up or down according to the desired number of portions, figure out recipe options based on what’s in the pantry… there’s so much that they will be able to do with this handy gadget, available from Vitamix! 15. Did Someone Say Doughnuts? As a child of the ‘80s and ‘90s, my eyes were always glued to the screen whenever an EasyBake Oven ad came on TV. I know I’m not alone in this. Though I never received one (don’t feel too bad –I was lucky enough to have lots of aunts and uncles who gave excellent gifts over the years, including a Barbie artist’s light box and a Furby, but I digress…), this certainly didn’t stop me from cooking up a storm, starting at the age of 3 or 4. Nonetheless, childhood me still would have loved to possess that piece of plastic, with what I have been told is a tiny light bulb inside to cook your pasty water-based mixtures into something vaguely resembling a brownie. This, my gift-seeking friends, is way better than that. 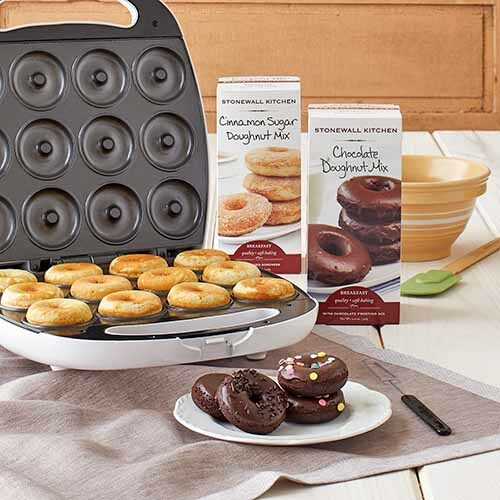 Doughnut lovers of all ages are going to be delighted to receive this doughnut making kit from Stonewall Kitchen, complete with mini electric doughnut maker and two packages of mix to make a dozen baked chocolate doughnuts with chocolate frosting, and a dozen more cinnamon sugar doughnuts. 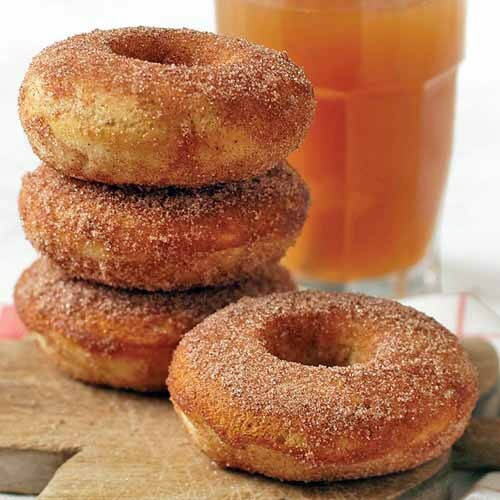 To keep the fun going, add on a few boxes of a la carte mix to make more of the included flavors, or vanilla doughnuts with maple glaze and apple cider doughnuts with cinnamon sugar topping. 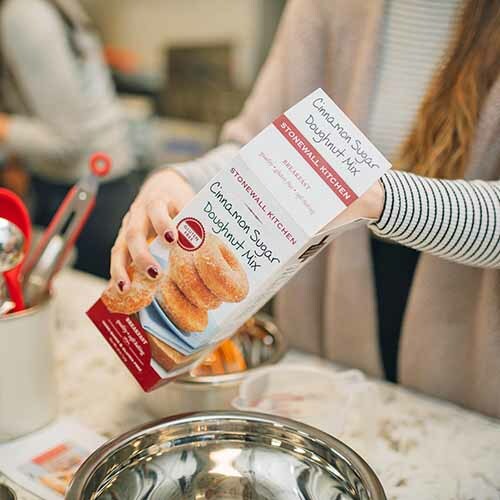 Gluten-free cinnamon sugar doughnut mix is also available from Stonewall Kitchen, so even more friends and family members can join in the fun! My KitchenAid stand mixer is one of my most prized possessions, a red model that was gifted to me by my grandpa years ago. It’s moved with me up and down the East Coast, and across the country, and it’s always there when I need it to mix, whip, beat, or stir. KitchenAid is celebrating their 100th anniversary in 2019, and what better way to join in the celebration than to share the love with your favorite baker or chef? The Limited Edition Heritage Artisan Series K5 is a 10-speed tilt-head model available in misty blue, perfect for modern or retro kitchens alike. 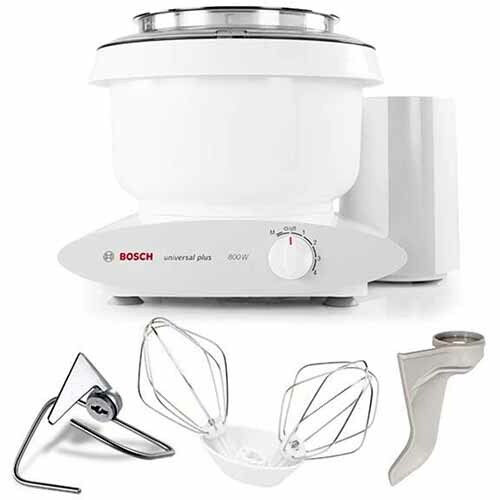 It comes complete with whisk, paddle, and dough hook attachments, plus a seriously cool white-coated stainless steel bowl. 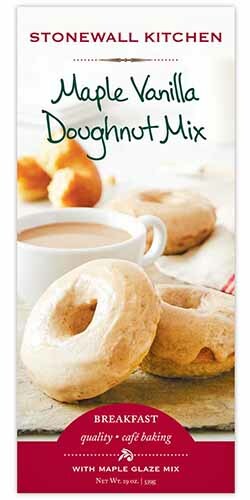 With a capacity of 5 quarts, you can mix up enough dough to make 9 dozen cookies at once! 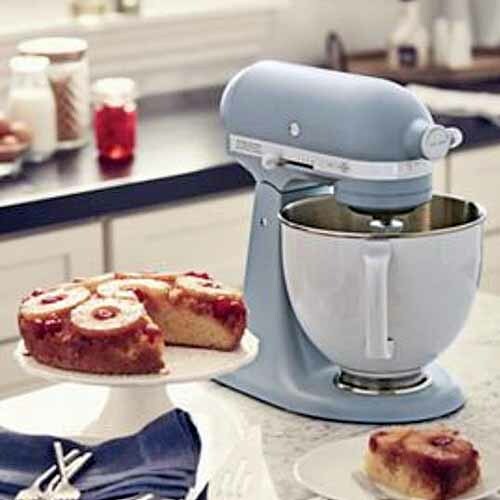 This limited edition stand mixer is available from KitchenAid. The Bosch Universal Plus is one of Foodal’s favorite countertop mixers, and it does not disappoint with its powerful 800-watt motor, large 6.5-quart capacity, and multifunctional appeal. 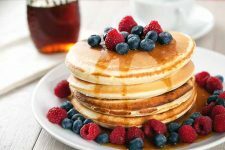 Serious chefs will love its ability to mix up enough batter to satisfy a crowd, but one of the most enticing things about the Universal Plus stand mixer is the wealth of attachments that are available to take your loved one’s culinary exploits to the next level. With the right attachments – you can find our full review of these here – this machine can do everything! 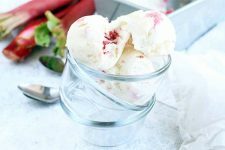 We’re talking food processor, cheese grater, pasta maker, ice cream maker, citrus juicer, slicer, meat grinder, berry press – this baby’s got it all! And your chosen giftee can have it all, too. The Bosch Universal Plus is available directly via Bosch, along with a bevy of incredible attachments. I don’t know about you, but I’ve got some serious shopping to do! 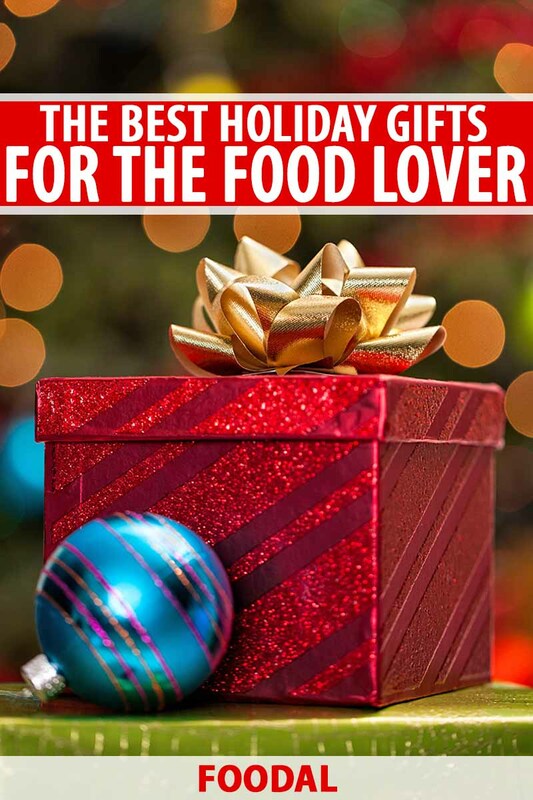 I hope you’ve enjoyed this list and that you’ve found just the right gifts to satisfy the cravings of all of the food-lovers in your life with something special this holiday season. 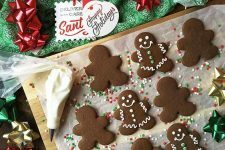 And you can also check out our full archive of Christmas-themed recipes here, or visit our holiday baking page, so you’ll have just the thing to pull out when the cookie craving strikes or when you’re in the mood to turn your kitchen into a candy factory. Now that you’ve been presented with all of these enticing selections, which ones will you choose? 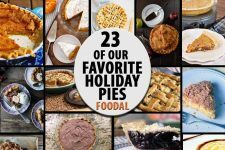 Tell us about your favorite picks in the comments below, and don’t forget to share this round up with fellow foodies who are in search of the perfect holiday gift. Product photos via Kurt Adler, August Grove, Stonewall Kitchen, Martha Stewart Wine Co., Kusmi Tea, OXO, Aeropress, Le Creuset, Dreamfarm, Wayfair, Made-In, MustKetch, Fody, Vitamix, KitchenAid, Bosch. Uncredited photos: Shutterstock. 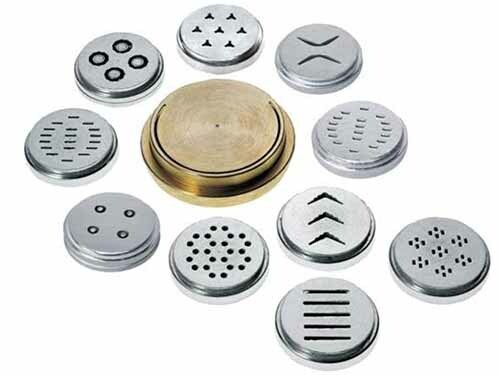 Samples of select items were provided by the manufacturer for testing.